People are rarely born “negotiation geniuses.” Rather, what appears to be genius actually reflects careful preparation, an understanding of the conceptual framework of negotiation, insight into how one can avoid the errors and biases that plague even experienced negotiators, and the ability to structure and execute negotiations strategically and systematically. This book will provide you with this framework—and with an entire toolkit of negotiation strategies and tactics that you can put to work immediately. As you you begin to apply the famework and strategies in the many negotiations you encounter—in business, in politics, or in everyday life—you will begin to build your own reputation as a negotiation genius. 1. Identify all of the plausible alternative options you might pursue if you are unable to reach an agreement with the other party. 2. Estimate the value associated with each alternative. 3. Select the best alternative; this is your BATNA. Step 2: Calculate your reservation value. An analysis of your BATNA is critical because it allows you to calculate your reservation value (RV), or your walk-away point in the current negotiation…What determines your exact reservation value within this range? If you are risk averse, you might be inclined to lean toward the lower end of the range. But if you are optimistic about your ability to negotiate…you might lean toward the upper end. Step 3: Assess the other party’s BATNA. Now that you have assessed your BATNA and calculated your reservation value, you know the lowest offer you would be willing to accept…Of course, you do not want to settle for a low sale price, so you will need to figure out how high a price you might be able to negotiate. In other words, you have to figure out the other party’s reservation value. Step 4: Calculate the other party’s reservation value. Step 5: Evaluate the ZOPA. Once you have an idea of each party’s reservation value, you can evaluate the zone of possible agreement, or ZOPA. The ZOPA is the set of all possible deals that would be acceptable to both parties. Put another way, the ZOPA is the space between the seller’s reservation value and the buyer’s reservation value…Your task in this negotiation is not simply to get a deal, but to claim as much value as possible. Whether you should make the first offer or not depends upon how much information you have. If you believe you have sufficient information about the other side’s reservation value, it pays to make a reasonable (i.e., sufficiently aggressive) opening offer that anchors the discussion in your favor. If you suspect that you may not have enough information about the ZOPA, you’d be wise to defer an opening offer until you have collected more information. In this case, it may even be a good idea to let the other party make the first offer. You might forgo the opportunity to anchor the negotiation, but you also avoid the downside of not anchoring aggressively enough. Notice that a lack of information can also lead you to anchor too aggressively, demanding an amount that might offend the other side and drive them away. In other words, asking for too little diminishes the amount of value you can capture; asking for too much diminishes your chances of consummating the deal. 1) IGNORE THE ANCHOR: The best thing to do in the event that the other party makes an aggressive first offer—whether high or low—is to ignore it…In this manner, you can shift the conversation to an entirely different topic, one that allows you to reassert control of the discussion. 2) SEPARATE INFORMATION FROM INFLUENCE: Every offer is a combination of information and influence. The other party’s offer tells you something about what she believes and what she wants (information), but it also has the power to derail your strategy (influence). Your task is to separate the information contained in the particulars of the offer (and the way in which it was made) from the other side’s attempt to influence your perceptions. 3) AVOID DWELLING ON THEIR ANCHOR: If you are surprised by their offer, probe a little to find out if there is in fact any substantive new information that you can obtain. If no such information is forthcoming, quickly shift attention away from the anchor by sharing your own perspective and defining the negotiation in your terms. 4) MAKE AN ANCHORED COUNTEROFFER, THEN PROPOSE MODERATION: Finally, if it is not possible to ignore or dismiss the other party’s anchor, you should offset its influence by making an aggressive counteroffer…However, countering aggression with aggression comes at a risk: the possibility that both parties will become entrenched and reach an impasse. To mitigate this risk, you should offset their anchor with an aggressive counteroffer, and then suggest that you need to work together to bridge the gap. 5) GIVE THEM TIME TO MODERATE THEIR OFFER WITHOUT LOSING FACE: When reacting to very extreme offers, your foremost goal should be to re-anchor successfully, not to convey your outrage. And re-anchoring successfully often means helping the other side find a way to retract earlier demands and arguments. 1) Keep the entire ZOPA in play. If your first offer is already inside the ZOPA, you have given up the ability to claim value that lies between your offer and the other party’s RV from the very start. 3) Set high but realistic aspirations. Why? First, those who set high aspirations tend to make more aggressive first offers in order to reach their target…Second, those with aggressive targets work harder at haggling once both parties’ Opening offers are on the table. 4) Consider the context and the relationship. Your goal should not simply be to get the best possible deal while preserving the relationship, but to get the best deal while strengthening the relationship and your reputation. You may have to forgo some short-term gains to meet this goal, but this sacrifice will almost always be worth the price. 1) Exhaust all pre-negotiation sources of information: There are often dozens of ways to collect information that do not entail guessing or asking the other party directly. 2) Identify your assumptions prior to the negotiation: Of course, in any negotiation, each party makes an infinite number of assumptions. You cannot keep track of each one—and you don’t have to. But you do need to identify and be aware of all of the assumptions that underlie your planned course of action. 3) Ask questions that challenge your assumptions: The wrong way to approach a negotiation is to start bargaining as if your assumptions are correct. Instead, ask questions to clarify matters. 4) Ask indirect questions: Naturally, the other party will sometimes refuse to answer questions that could help you determine their reservation value. In that case, you need to ask questions that are less direct—and less threatening. 5) Protect yourself from lies and uncertainty with contingency contracts: Consider the use of a contingency contract. Contingency contracts are agreements that leave certain elements of the deal unresolved until uncertainty is resolved in the future. STRATEGY 1: FOCUS ON THE OTHER PARTY’S BATNA AND RESERVATION VALUE – These folks tend to set higher aspirations and capture more value in the deals they negotiate. STRATEGY 2: AVOID MAKING UNILATERAL CONCESSIONS – Luckily, a norm of reciprocity pervades most negotiation contexts: parties widely expect and understand that they will take turns making concessions. If the other party violates this norm, you should rectify this problem iimnTiediately. The next five points show how to so. STRATEGY 3: BE COMFORTABLE WITH SILENCE – Effective negotiators understand not only the power of silence, but also the need to be comfortable with it. Just remind yourself that if you speak when it is their turn, you will be paying by the word. STRATEGY 4: LABEL YOUR CONCESSIONS – Instead of simply giving something away or moderating your demands, make it clear that your action is costly to you. Because labeled concessions are hard to ignore, it becomes difficult for recipients to justify nonreciprocity. STRATEGY 5: DEFINE WHAT IT MEANS TO RECIPROCATE – Reciprocity is even more likely if you not only label your concession, but specify what you expect in return. This strategy eliminates another piece of ambiguity. STRATEGY 6: MAKE CONTINGENT CONCESSIONS – Contingent concessions explicitly tie your concessions to specific actions by the other party. STRATEGY 7: BE AWARE OF THE EFFECTS OF DIMINISHING RATES OF CONCESSIONS – In most negotiations, concession rates follow a pattern: early concessions are larger in size than later concessions. In other words, negotiators tend to offer diminishing rates of concessions over the course of the negotiation. Negotiation genius is about human interaction, and the only raw material you need to achieve it is the ability to change your beliefs, assumptions, and perspective. You have this ability. If you now put forth the effort to implement what you have learned, then you will become a negotiation genius—someone who finds it easy to achieve brilliant results in all types of negotiations. We hope you will put forth this effort. We hope this book motivates you to do so and guides you along the path. I highly recommend this book, as a follow-up to the classic Getting to Yes by Fisher, Ury and Patton as well as Influence by Cialdini. I would like to thank my friend John Walker for this perceptive book recommendation. I recently finished reading The Halo Effect…and the Eight Other Business Delusions That Deceive Managers by Phil Rosenzweig. “Delusion One: The Halo Effect – The tendency to look at a company’s overall performance and make attributions about its culture, leadership, values, and more. In fact, many things we commonly claim drive performance are simply attributions based on prior performance. Delusion Two: The Delusion of Correlation and Causality – Two things may be correlated, but we may not know which one causes which. Does employee satisfaction lead to high performance? The evidence suggests it’s mainly the other way around – company success has a stronger impact on employee satisfaction. Delusion Three: The Delusion of Single Explanation – Many studies show that a particular factor – strong company culture of customer focus or great leadership – leads to improved performance. But since many of these factors are highly correlated, the effect of each one is usually less than suggested. Delusion Four: The Delusion of Connecting the Winning Dots – If we pick a number of successful companies and search for what they have in common, we’ll never isolate the reasons for their success, because we have no way of comparing them with less successful companies. Delusion Five: The Delusion of Rigorous Research – If the data aren’t good quality, it doesn’t matter how much we have gathered or how sophisticated our research methods appears to be. Delusion Six: The Delusion of Lasting Success – Almost all high performing companies regress over time. The promise of a blueprint for lasting success is attractive but not realistic. Delusion Seven: The Delusion of Absolute Performance – Company performance is relative, not absolute. A company can improve and fall further behind its rivals at the same time. Delusion Eight: The Delusion of the Wrong End of the Stick – It may be true that successful companies often pursued a highly focused strategy, but that doesn’t mean highly focused strategies often lead to success. Every now and then one comes across a book, that makes its reader take a step back and re-assess his views, experiences and readings. The Halo Effect is one of these books. It delivers both on account of the content and also of the numerous corporate examples and references to leading work in the leadership/management space to illustrate the concepts presented. A very refreshing and highly recommended read! I just finished reading CIO Wisdom – Best Practices from Silicon Valley’s Leading IT expert by Dean Lane. This book is a collection of articles on topics of concern and relevance for not only CIOs by IT leaders at large. These articles are written by various authors, which ensures varied perspectives – based on their experiences. Topics range to include the people, process and technology aspects of the profession. To mention a few: Communications, IT Organization, Governance, Architecture, Strategic Outsourcing, IT Infrastructure Management and Execution etc. What sets this book apart is the breadth of topics covered in terms of applicability and importance to overall success of the IT organizations. While at a first glance the articles may seem disparate, there are a number of key themes/messages that emerge. Each topic is discussed enough to give the reader a basic and clear understanding, but given the book’s breadth, once cannot expect each topic to be covered in full depth. The later would require many volumes. CIO Wisdom is a recommended read for any IT leader seeking to gain a broader understanding of the IT organization it’s challenges and opportunities. 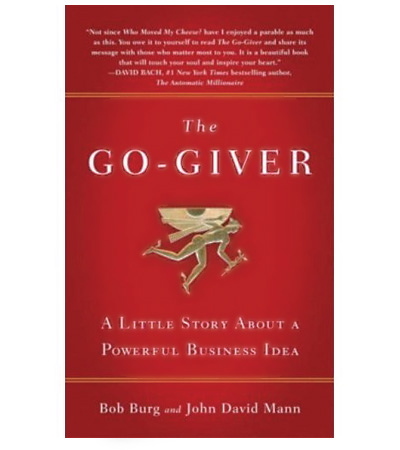 I recently finished reading The Go-Giver – A Little Story About A Powerful Business Idea – by Bob Burg and John David Mann. This book was recommended to me by one of my blog followers (thank you Stephanie!). The Go-Giver as the authors tell, revolves around the story of a young professional (Joe) who is striving for success. Joe is ambitious, however lately it seems like his hard work and efforts are not paying off in terms of results. Following a disappointing quarter – in terms of sales results – he inadvertently seeks the mentorship of “The Chairman”. 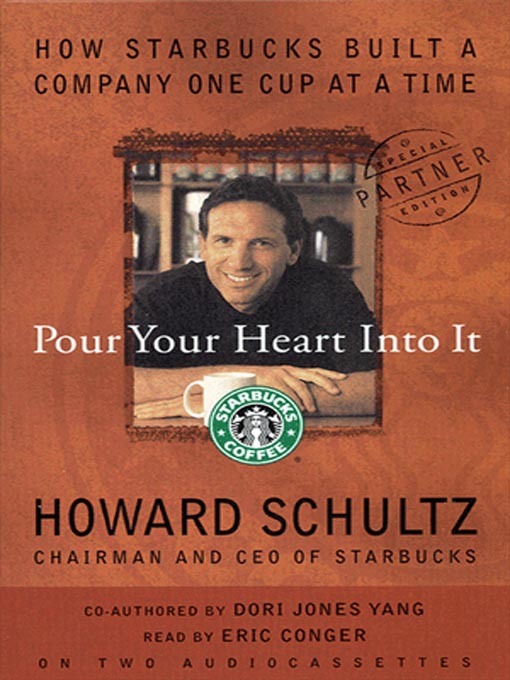 A very insightful, powerful and enjoyable parable/story that reminds us of the basics of success – which start with giving and circle back with receiving (not the other-way around i.e. go-getter). An enjoyable and highly recommended read! While you are at it, enjoy a Frappuccino.